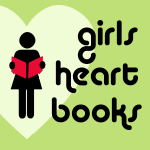 With huge thanks to Jo Cotterill, Susie Day, Keris Stainton and a whole lot of other wonderful authors (full list below), a joint book blog called Girls Heart Books has launched today! There will be a new blog post every day. Anna Carey, Anne-Marie Conway, Cathy Cassidy, Cathy Hopkins, Diane Messidoro, Fiona Dunbar, Griselda Gifford, Hilary Freeman, Jo Cotterill, Joan Lennon, Joanna Nadin, Judi Curtin, Julie Sykes, Karen King, Karen McCombie, Kate Maryon, Kay Woodward, Keris Stainton, Leila Rasheed, Linda Chapman, Lisa Clark, Liz Kessler, Luisa Plaja, Maggi Gibson, Rosalie Warren, Sarah Webb, Sophia Bennett, Sue Mongredien, Susie Day, Tamsyn Murray, Wendy Meddour.